Regions Visa Business has no annual fee. You can use the card first 6 months without APR. Then the interest rate is going to be 10.25% - 22.24%. It depends on creditworthiness and other facts. Cash Advance APR is 26.24%. There is not any good travel opportunities. There is no rewards points. Foreign Transaction fee is 3% of your purchase. Late payment fee is $49 maximum. There is not much unique services with the card. 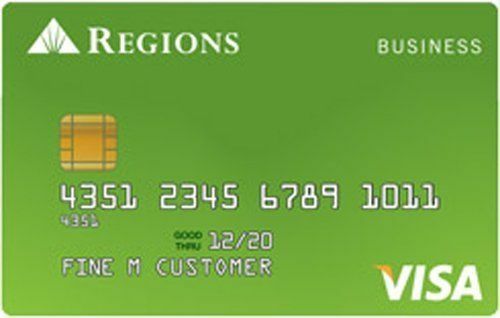 You can find Regions Visa Business reviews below. The card can be a good opportunity for business which has good creditworthiness. 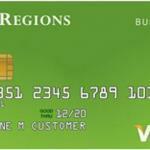 The minimum APR is 10.25% for this card of Regions Bank. The maximum APR is 22.24%. The card doesn’t provide much advantages for users. However this can be a good opportunity for a first business card. You can read Regions Visa business reviews of users below. If you are already a user of this credit card, you can also leave a review. Your reviews won’t just help this content to be improved, it will also help people who wants to have this card.